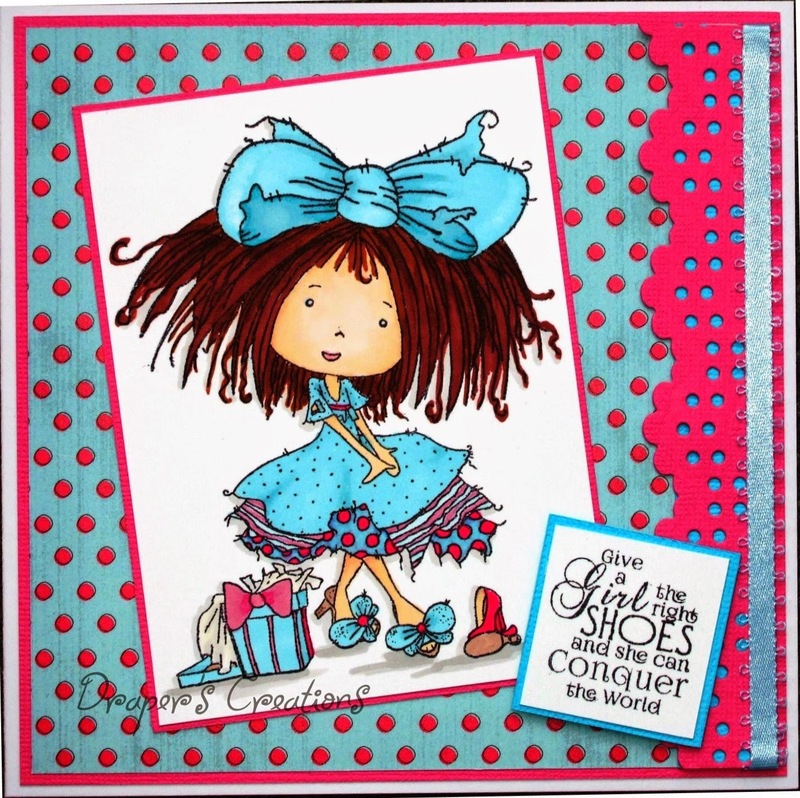 Sally is hosting for this challenge and she would like you to go DOTTY, so something that has obvious dots on. 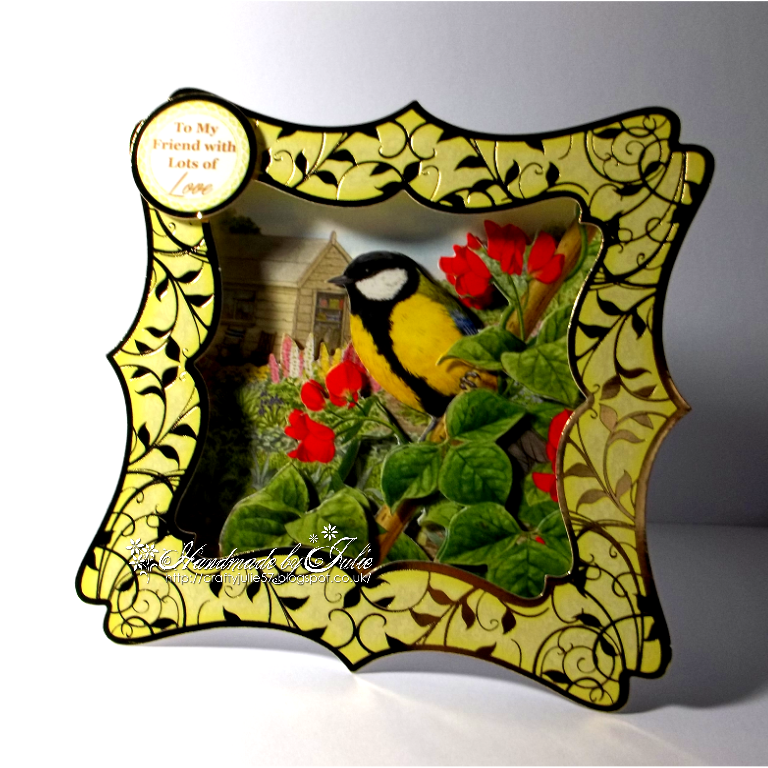 I have used a cutting file to cut the birdhouse and decorated it with dotty papers around the base, some buttons, paper flowers and a needle felted bird. 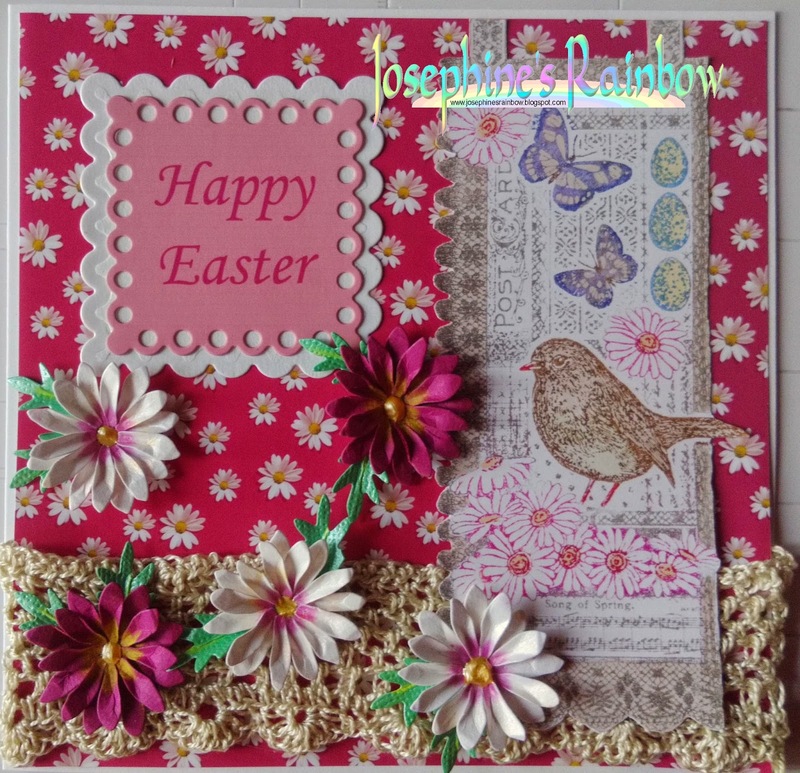 I've made a card using the Crafter's Companion Paintbox Poppets CDRom, adding the sentiment to the ribbon and then cutting another copy to layer on top. 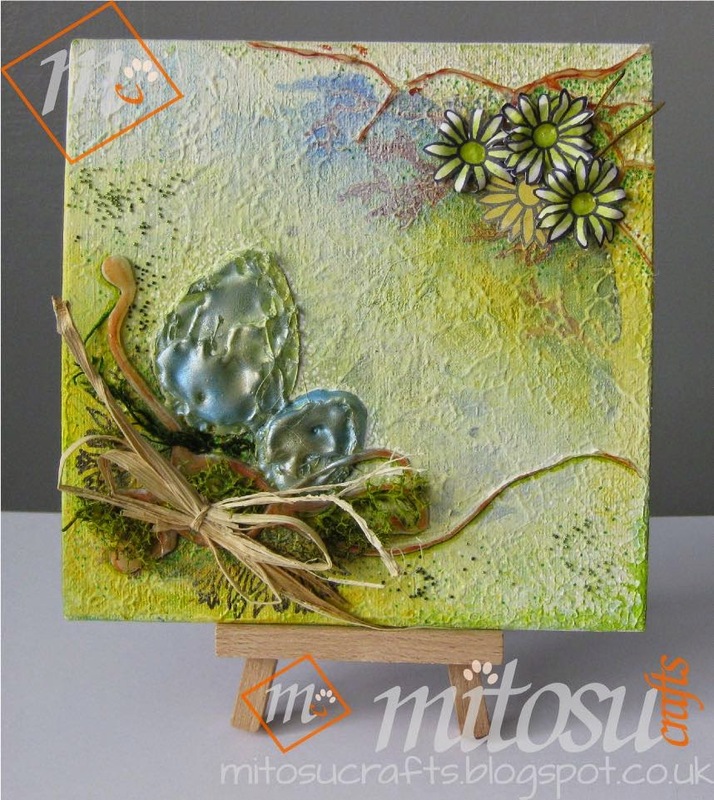 I used two flowers and an extra centre to layer the flower. 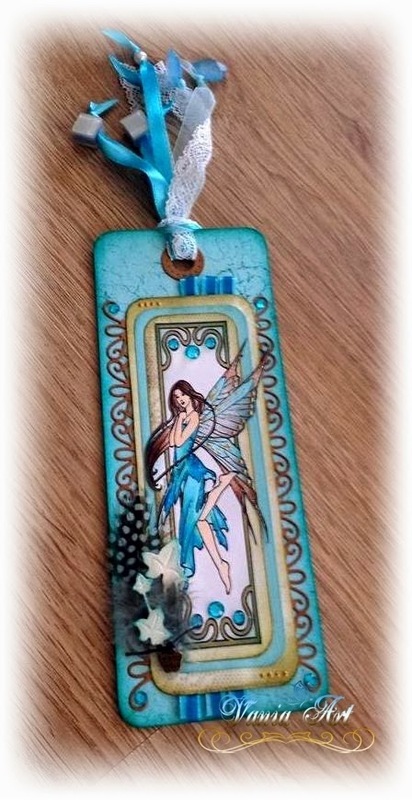 I have grown to love Tatty Twinkles and I have used one of the later stamps here. 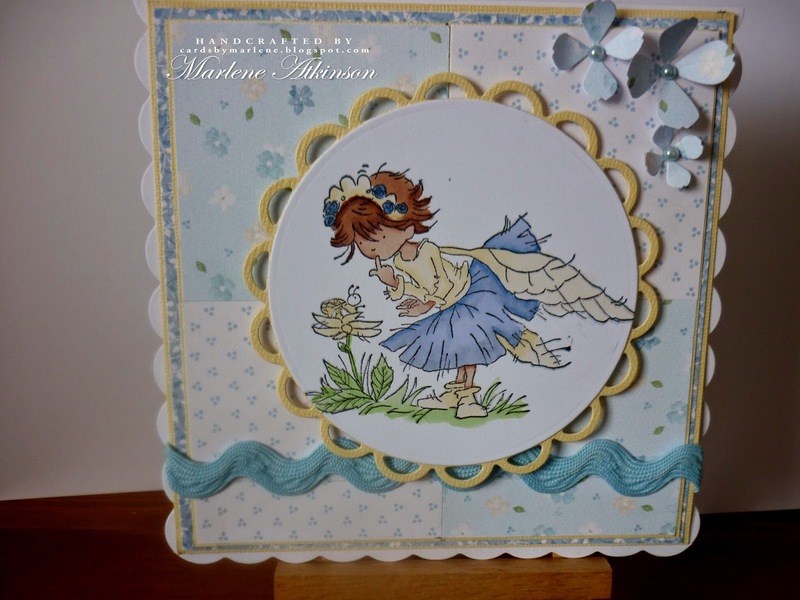 I coloured here to match some paper that I had in my stash. it is the first time I have used it. 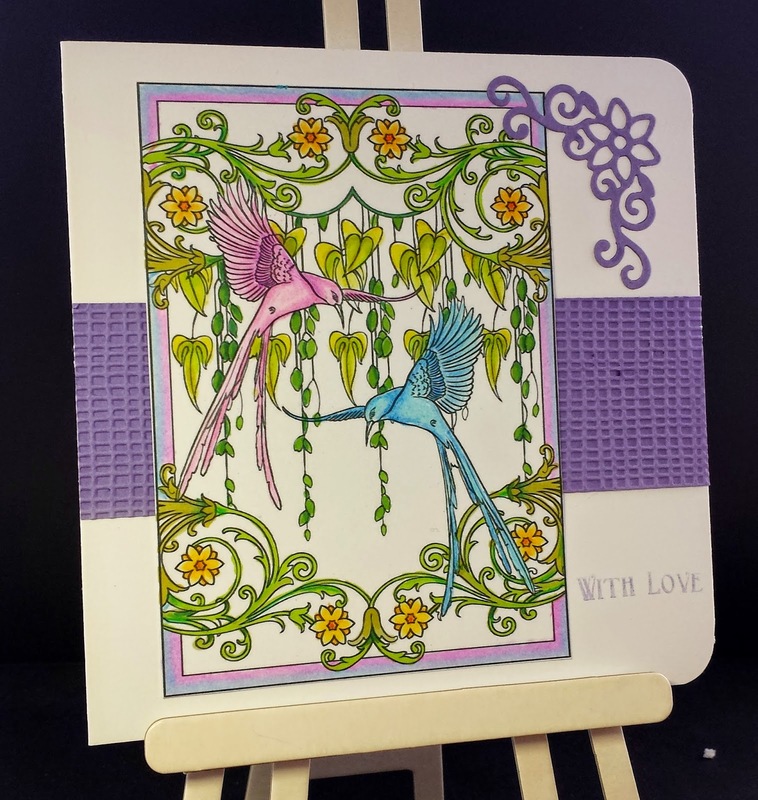 I used two different techniques to create the dotted patterns on my spring card. 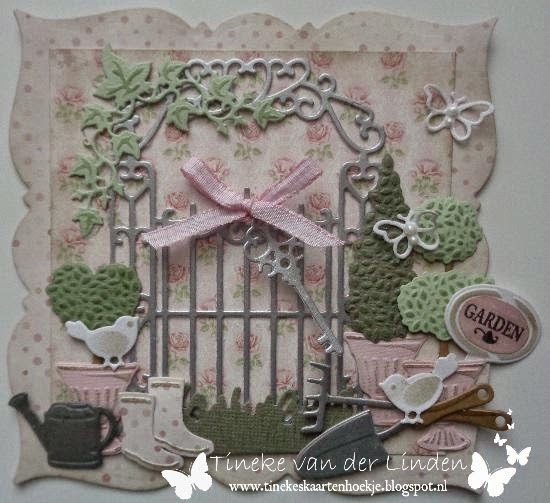 I also used some ribbon with dots and some butterflies with dots! 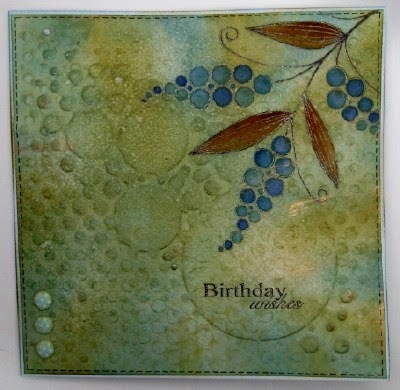 I have used a couple of dotty stencils from Clarity and a stamp from Woodware to create my 'Dotty' birthday card. 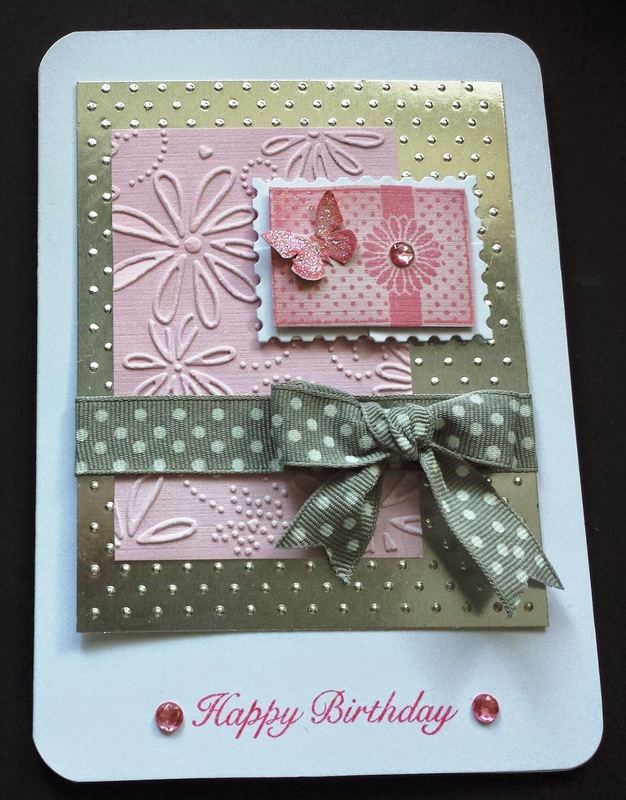 I created my dotty background by stencilling with three different shades of DIs over some Imagination Crafts paper. 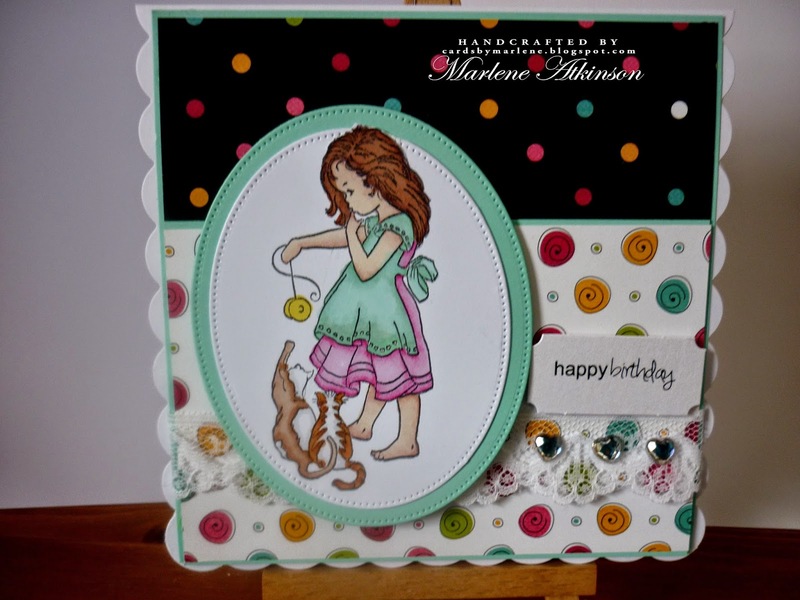 I also added dots to my 'Hepburn Dress'. 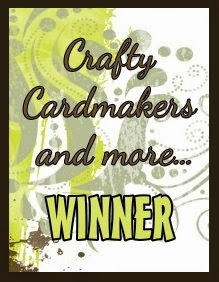 See my blog for more details. 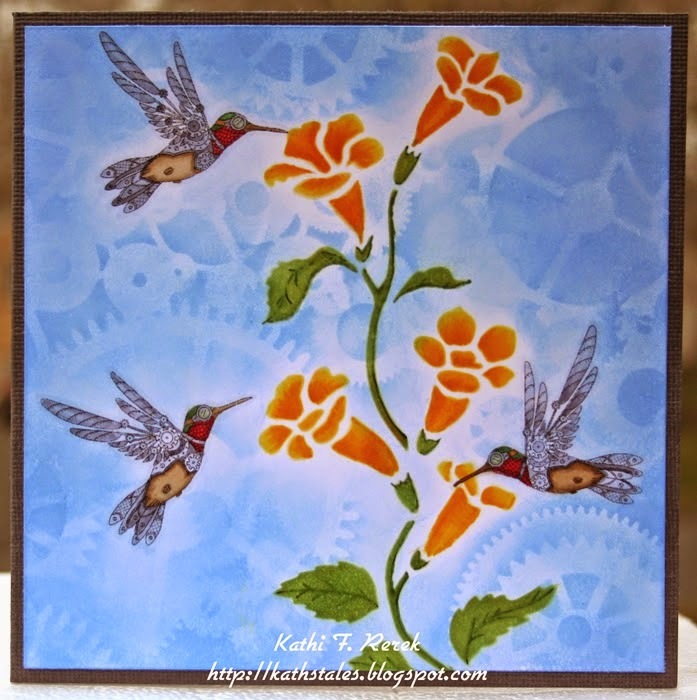 I spend so much on crafty goodies that I feel better when I can use things I already have to make something nice. 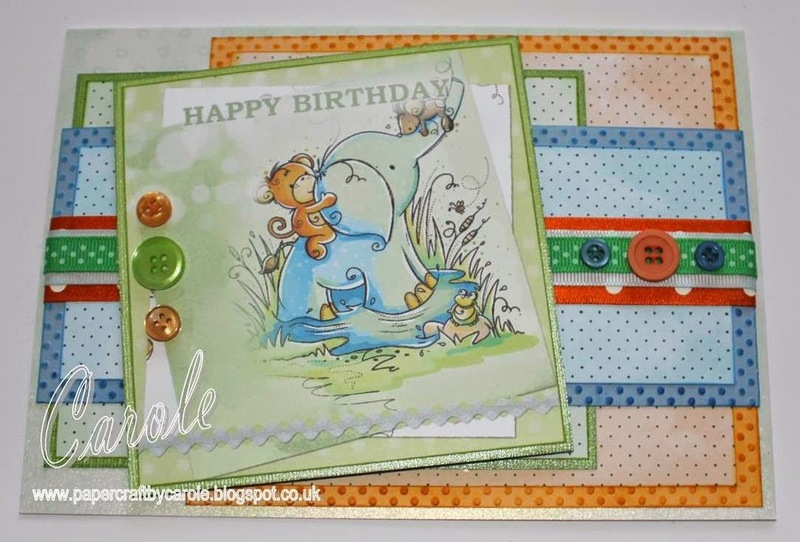 My card was made using scrap card from my bits box, and some embossing folders. 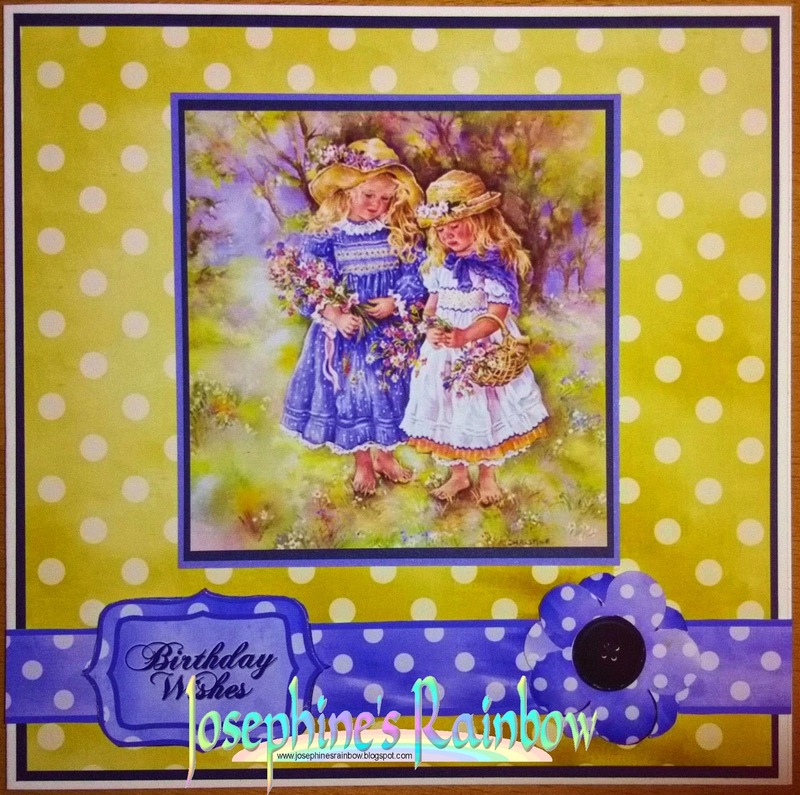 I also used a couple of stamps and some ribbon I found in my stash. 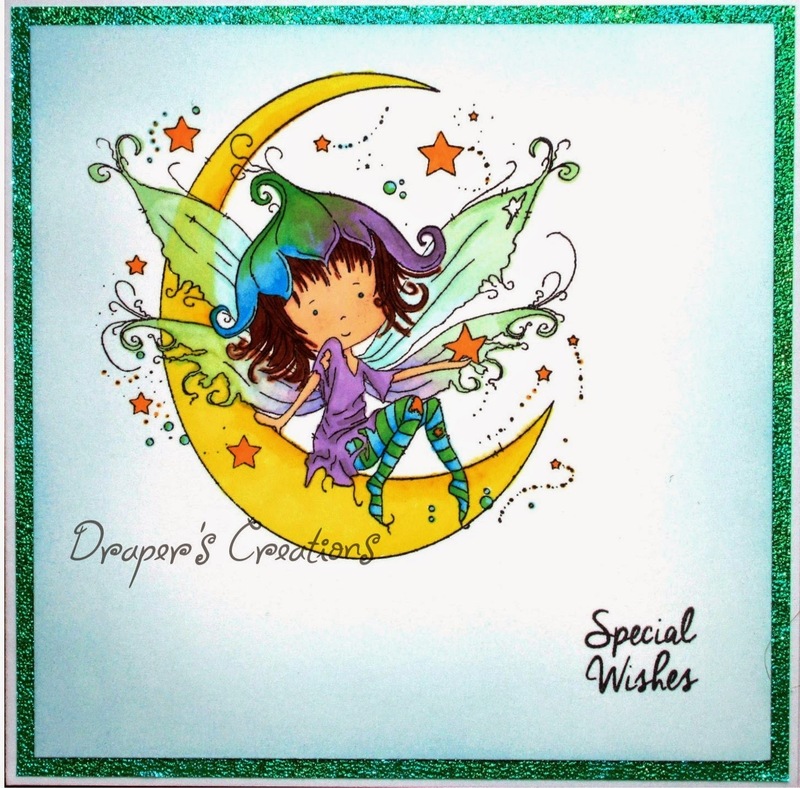 I have used a Tatty Twinkles stamp called Moonbeam and coloured it using a mixture of Spectrum Noir pens and Promarkers. 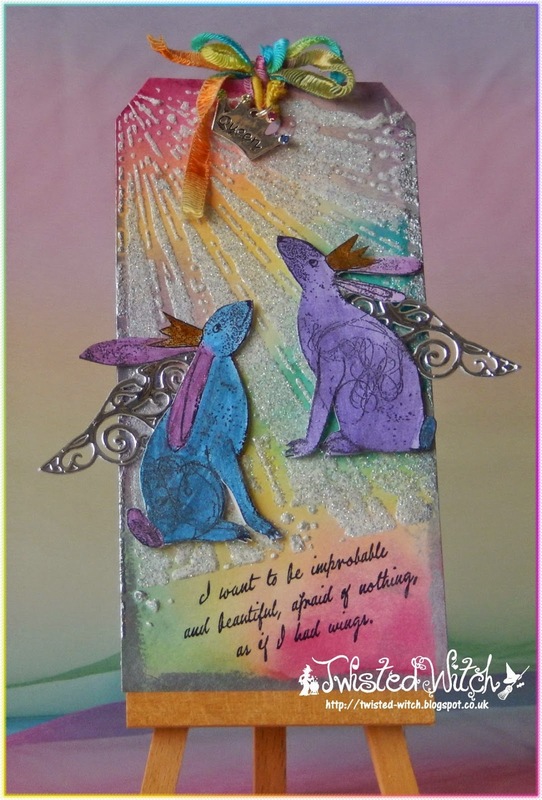 An Easter card from me - using an stamp by Crafty Individuals which incorporates three sets of wings! 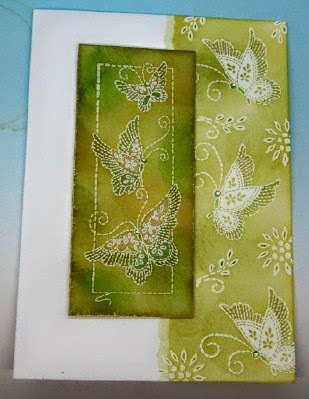 I 'inked' the stamp with watercolour markers and added some further colour with Promarkers. 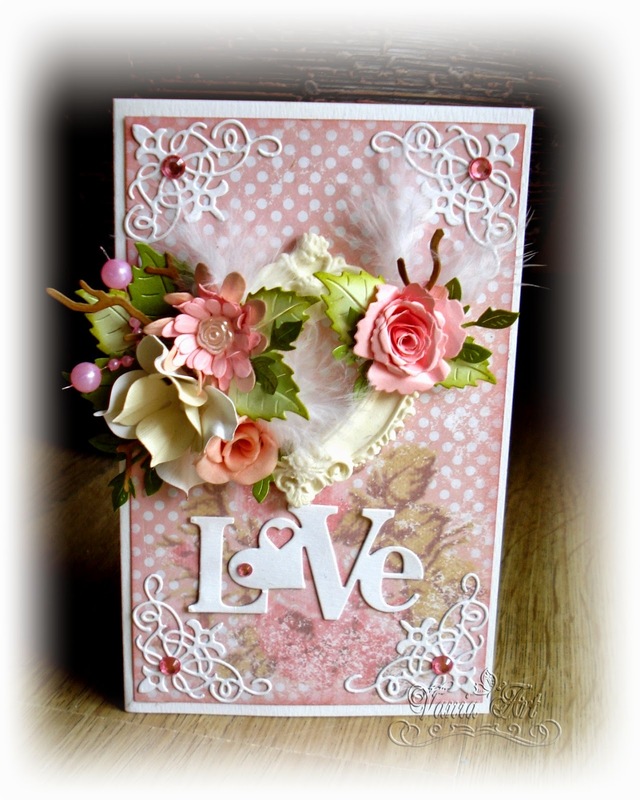 I completed the card with hand-made flowers and some lace that I crocheted. 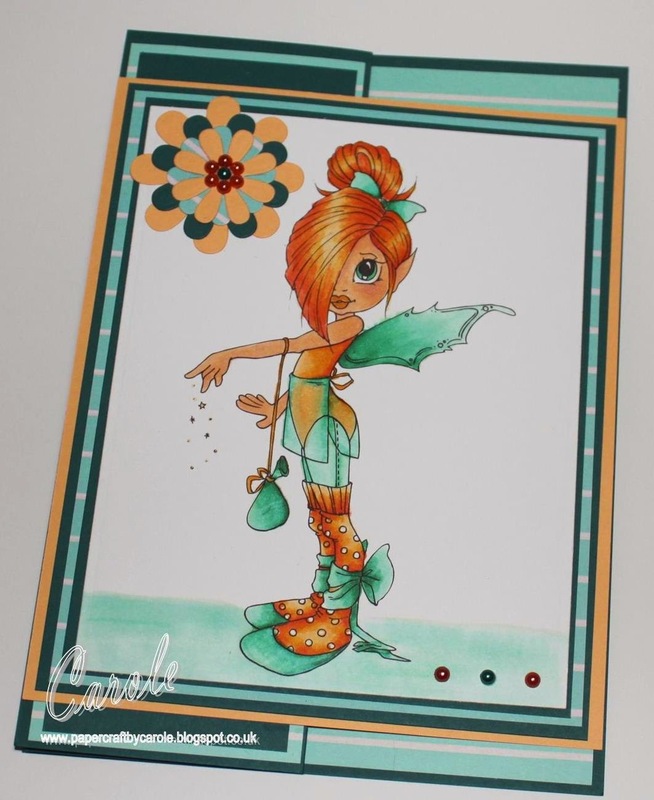 I have used 'Tilly Fairy' digi stamp from Saturated Canary - coloured with my Spectrum Noir pens. 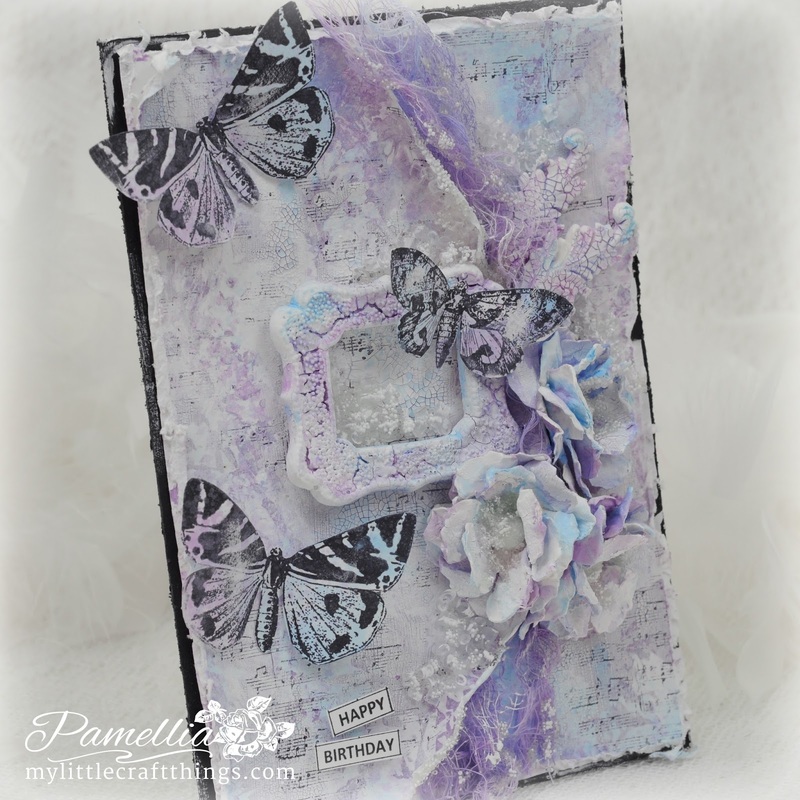 Butterflies for my wings themed card. 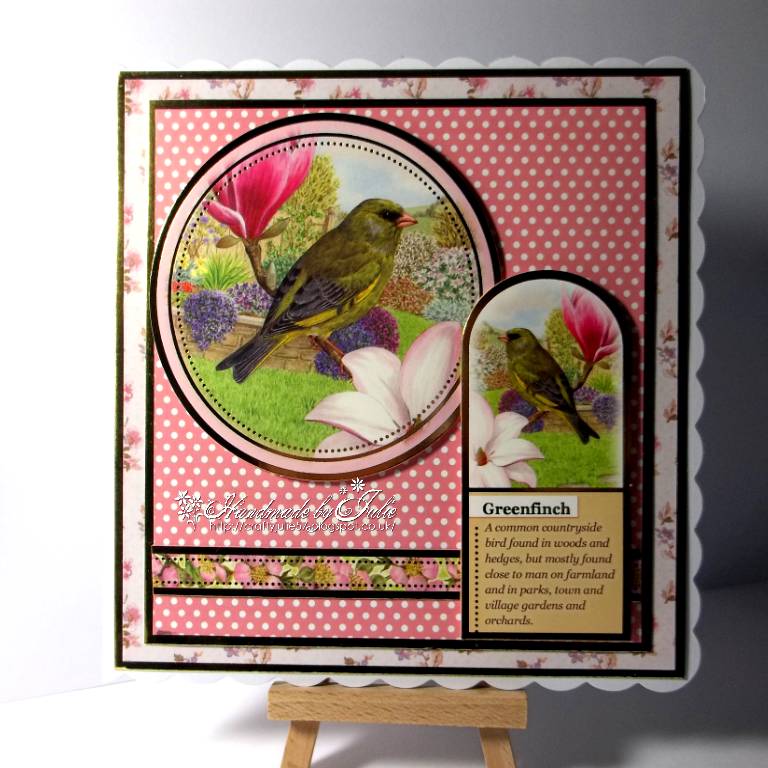 I have used Kaisercraft Chanteuse Collection and lots of fussy cutting! 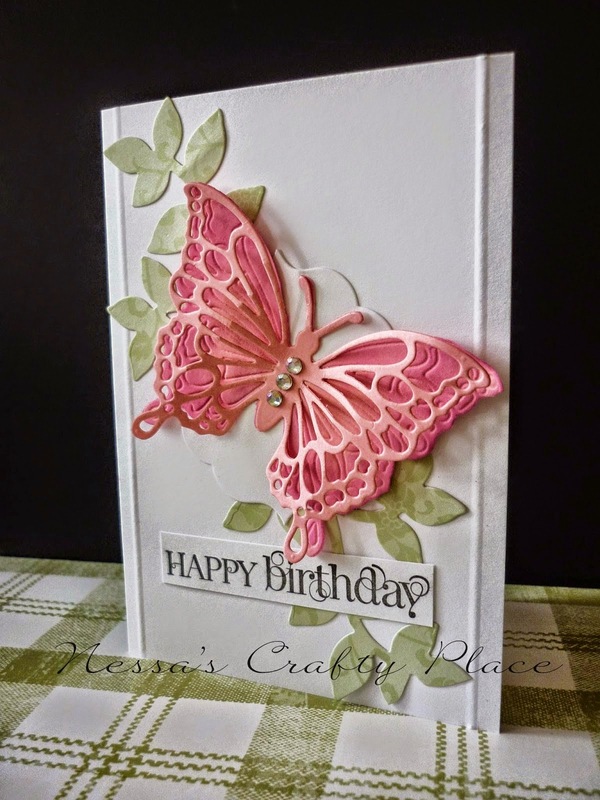 I have used an old Stampendous Butterfly stamp set, some masking and Distress inks for my winged project. 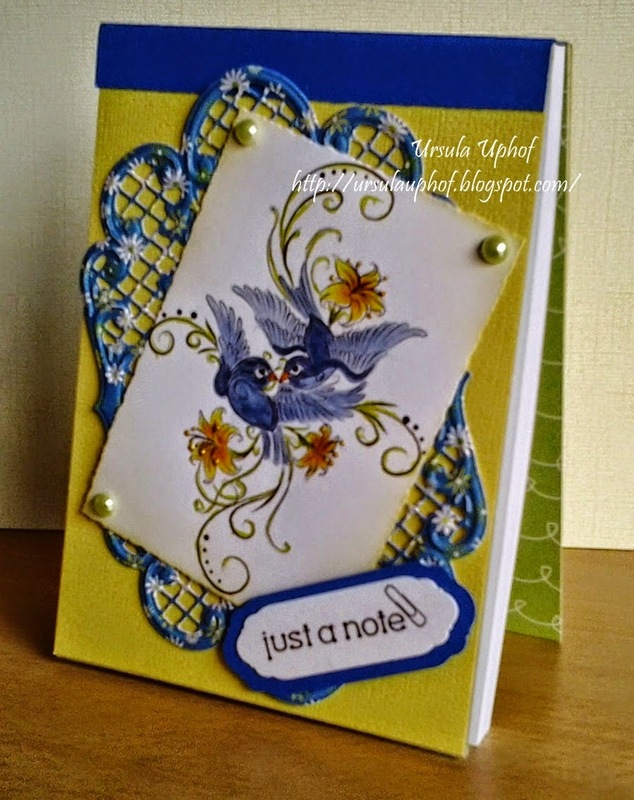 I have used an old Owl stamp set from Personal Impressions to make a Criss Cross card. 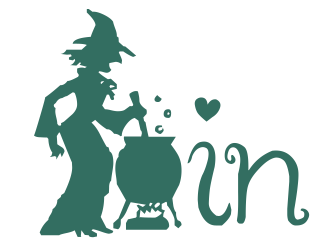 I used a digistamp I found on my pc (sorry, origin unknown!) 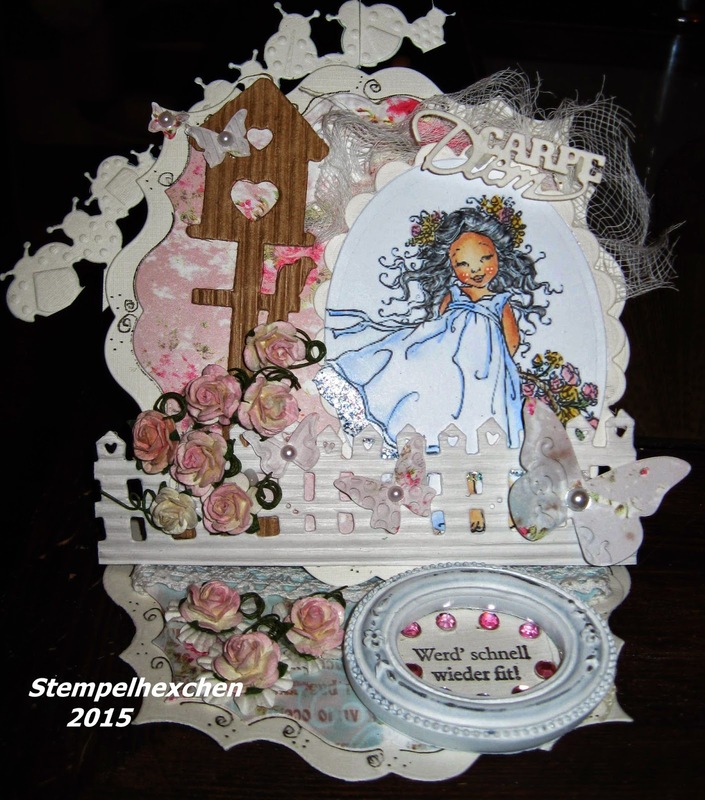 which I coloured with promarkers and spectrum noir pencils and scrap card from my stash for embellishments.